We’ve spoken about Abstraction a couple of times this semester, and this is our chance to try some abstract painting. Why no brush? A brush more easily puts your mind in the space of Paint Some Thing. Representational painting is great of course! But it’s not the only way to work. And for those of us who are beginners the skill we don’t have can really get in the way and be frustrating. 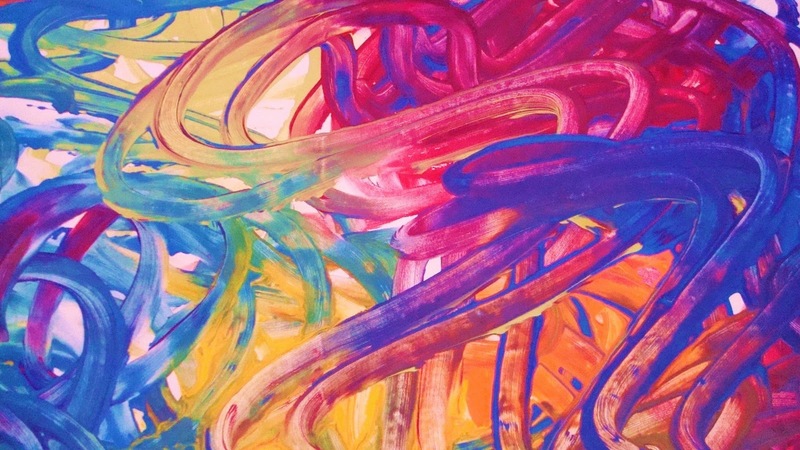 In this Abstract Painting activity I’d like you to be free to “feel” the paint. To feel the rhythm of the marks you make on the paper. No worries about it looking like something, just feel the temperature of your hot reds and cool blues. Feel the mass of the areas of color you make. The lyricality. The cadence. The flow. The texture. 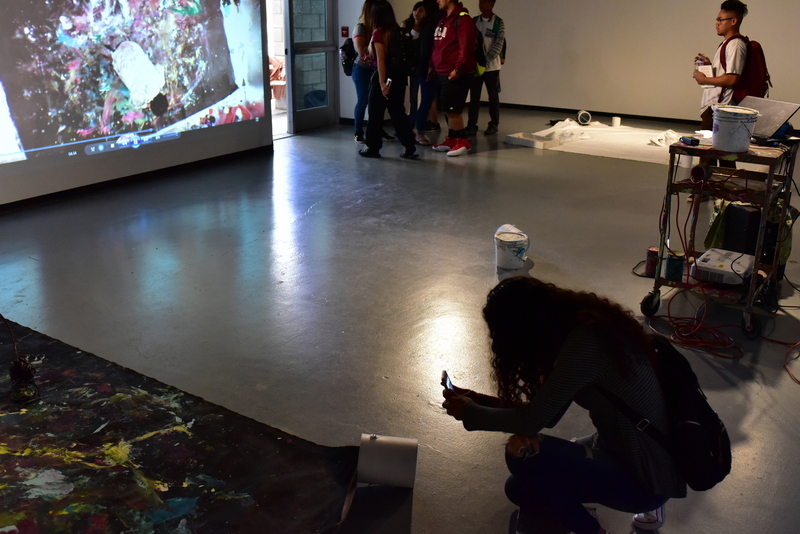 CSULB SOA student Alvaro Alvarez uses his own body as a sort of “living brush” to paint with. 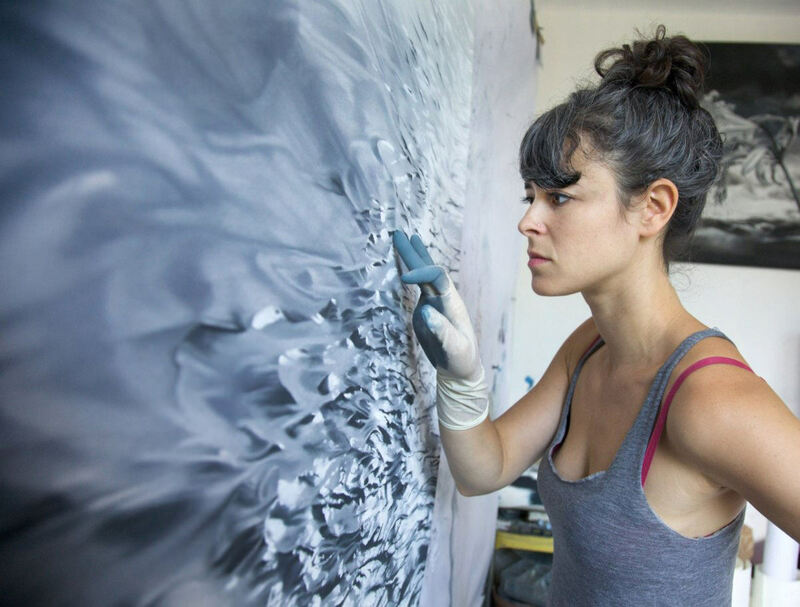 Other artists have also used the human body as a “paint brush”. 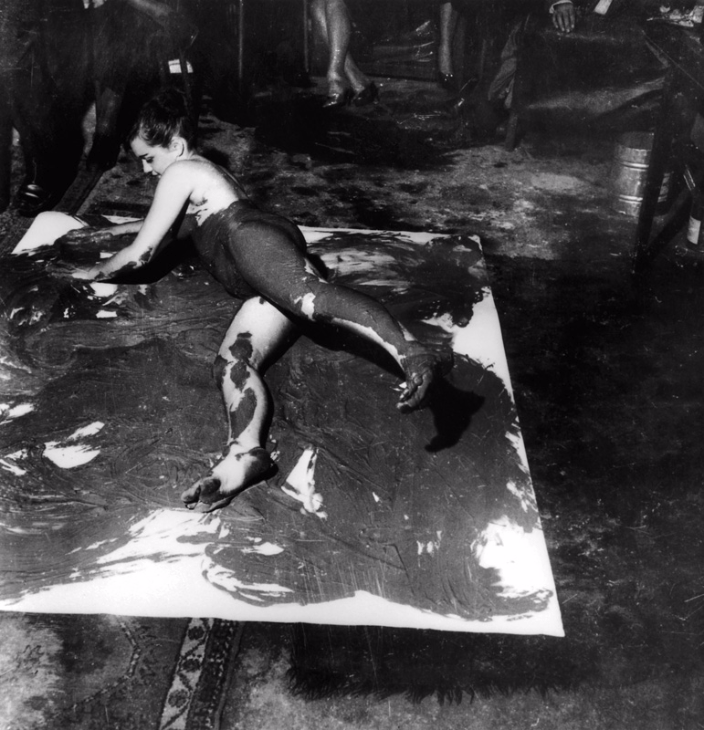 Maybe most famous are the late 1950’s / early 1960’s “living brush” works by French artist Yves Klein. First experiment of the living brushes in Robert Godet’s apartment, rue le Regrattier, Paris, June 5th, 1958. You don’t have to do anything as adventurous or large as Alvarez or Klein, but you might find a bit of inspiration and energy in their work. You’ll only need small quantities of paint. Make sure they’re water-soluble, non-toxic. Was it easier, harder, or different than you expected? How was the experience of making a painting with no subject? Confusing & Frustrating? Liberating & Inspiring? How does this compare to other paintings you have seen? This Week In Art 110 History! Design Thinking applied to the problem of Life!